Endowed in 2005, Parthweb Solution Pvt Ltd is the most reputed exporter, supplier and trader of Pharmaceutical Medicines. We have wide range of products and services from Iressa 250, Gefitinib Tablets, Viraday, Atripla Tablets, Tenofovir, Emtricitabine, Efavirenz Tablets to Medicine Drop shipper services. With the purpose to make people’s lives healthier we are dedicated to provide premium quality products to our clients. Our entire range is appreciated by the clients for appropriate composition, hygienic processing, and high effectiveness, free from side effects, safe to consume and longer shelf life. We are also engaged in Drop Shipping Services. We export our products to USA, Australia and UK. We are continuously progressing under the guidance of our owner, Mr. Brijesh Shah. He has wide industrial experience and holds in-depth knowledge capitalizing on his expertise; we have carved a niche for ourselves in this domain. Owing to our effective marketing objective, we are catering to the requirements of our clients spread across the globe. Trading of pharmaceutical products asTablets, Capsules, Liquids etc. We deal in allopathic medicines that are manufactured by most reputed names in the pharmaceutical industry. As a quality driven organization, we understand that the quality of our medicines is of extreme importance. Thus, we make sure to procure only highly effective and safe to consume pharmaceutical drugs from our associates. We procure the medicines from some of the reputed manufacturers. These companies have hi-tech facilities approved by GMP, WHO or US FDA. We strive for continuous improvement in our performance. We are committed towards serving our clients in the best, efficient & complete manner. Our goal is to achieve total customer satisfaction by providing quality healthcare products as expected by our clients. We are committed towards achieving total customer satisfaction. We cater to the requirement of drugs & health care industry in a cost-effective manner. We are supported by a spacious warehousing facility wherein we store voluminous quantities of our generic medicines. The facility is segregated into various sections so that we can store our medicines systematically. 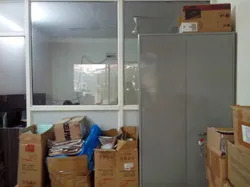 The ware house has good arrangement to protect the medicines from dust, water, rodents and other harmful elements. It has proper ventilation that keeps the environment fresh and airy. Our managers keep a close check on the stored products and in case of any damage, it is rectified with utmost precision. The product damage is one of the biggest hurdles in shipping products to different parts of the world. 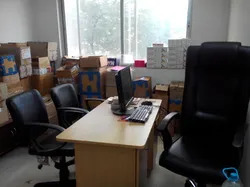 Therefore, our team of experienced packaging experts put in special efforts to ensure that best available material is used to pack the products so that they can easily withstand all sort of handling related issues during transit period. We are catering to the requirements of health care industry, we understand the importance of making timely delivery. We are aware of the fact that the reputation of any company is credible to the services they provide, therefore we lay special emphasis over the aspect of delivery as we are primarily into exporting. Our delivery managers put in all their efforts to ensure that the products are packed, dispatched & reach the desired location within the stipulated time frame.